Dalai Lama is a title given to the successor in a line of Tuluks (living Buddhas) who are believed to be an incarnation of Avalokitesvara. The Dalai Lama is a very important figure in Tibet for many reasons. He has been a representative of Buddhist values and traditions and has been a symbol of unification for the people of Tibet. 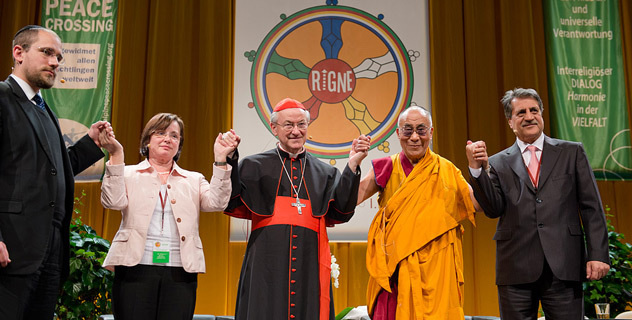 The Dalai Lama’s religious authority was not just restricted to Buddhism. He worked to bring together different religious and regional groups, and the same work has been carried by the 14th Dalai Lama. Although exiled from Tibet, in 1959 at a young age of 24, and currently living in India as a refugee, he continues to work to spread the message of love and compassion to all people irrespective of their beliefs and has become a symbol of nationhood for the Tibetans across the world. On 13th November 2017 His Holiness, The 14th Dalai Lama of Tibet, addressed students from Canada and USA in his residence at Dharamshala where he spoke about his beliefs and values. 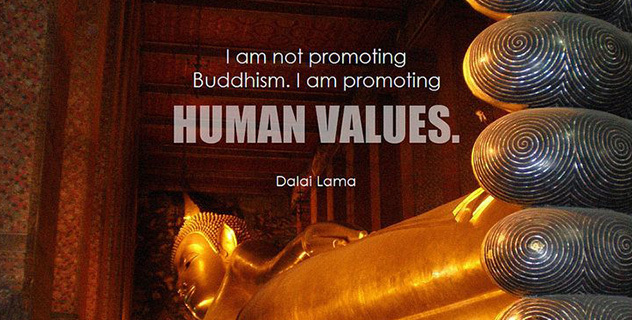 He wanted to the promotion of human values in order to create a happier world. He believes in that happiness comes from within and depends on our emotions and not in money or power as they can create anxiety and arrogance. The more money or power a person has, the more arrogant and anxious they are. All human lives must be respected and valued irrespective of their religion, region or beliefs. Stating the example of India, he mentioned that India as a country is secular and there are many religions practiced by more than 1 billion citizens, and they respect and value each other. True human value can be achieved by having the feeling of oneness and equality among the people. His second value was the promotion of religious harmony as he believed that all religions teach the message of love and despite their origin or language they all have the same goal to promote conviction about love, forgiveness, and tolerance. He believes that while the philosophy may be different even within a religion, the end message is same and in a way difference in philosophy is needed to have a broader perspective on religion and its meaning. Being a Tibetan, he wants to preserve Tibet’s culture. While in exile he India he has learned about the origin on Buddhism and believes that Tibetan culture is the authentic Buddhism culture and feels that of the 1 billion Buddhist around the world Tibetans are closest to the real essence on Buddhism. He expands culture beyond religion by including the Tibetan environment as very important to be preserved. 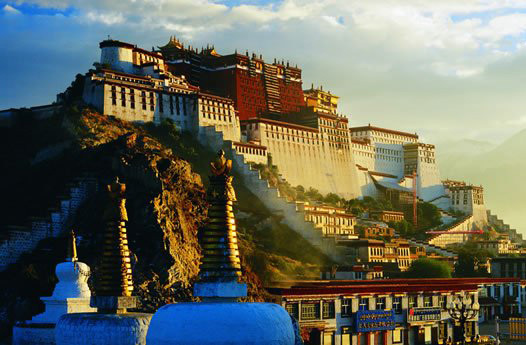 Tibet is located on the highest plateau and has a number of rivers originating from it, and hence there is a great need to protect that environment and ecology. He shared his experiences while in exile and his learning from the years he spent away from Tibet. He thinks that being away from Tibet has made him aware of many problems that the world is facing that were not a concern for Tibetans. Pollution, hunger, and violence amongst them are the most common, and they have created him a sense of responsibility to work towards solving these issues. For him the true monks re the millions of people living in Tibet for they have a powerful spirit and a high value for their country, Tibet. Tibet has a high value for freedom of religion and speech rather than physical freedom of which they are deprived of. 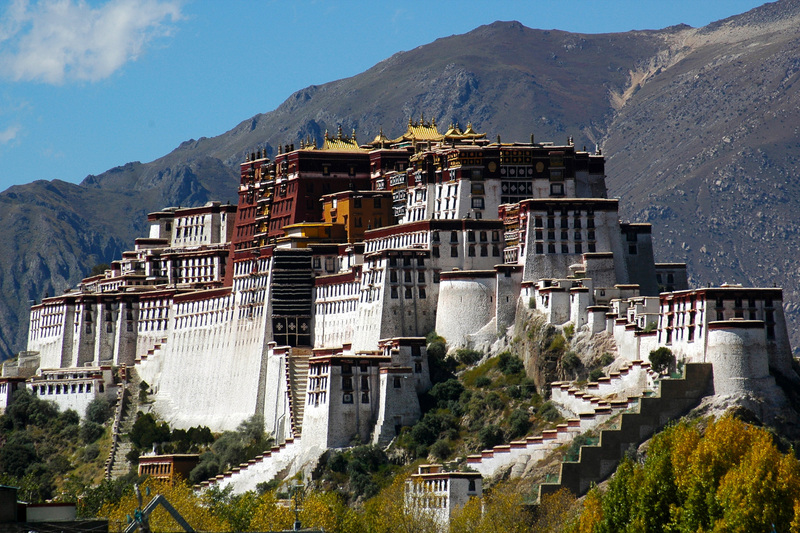 But despite fear, oppression and restrictions, Tibet is still surviving because of the high spirit and faith in Buddhism. 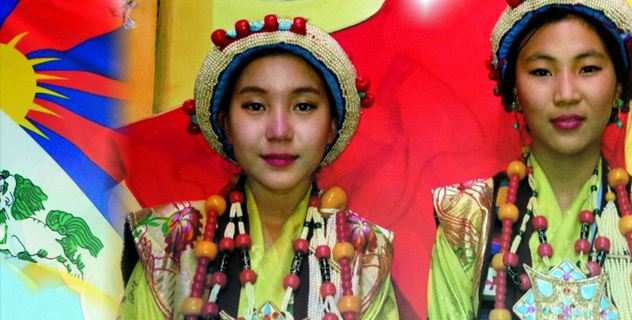 See more in the Tibetan Nation. The students were happy and honoured to be addressed by the Dalai Lama and learned a lot about freedom and spirituality from his knowledge. 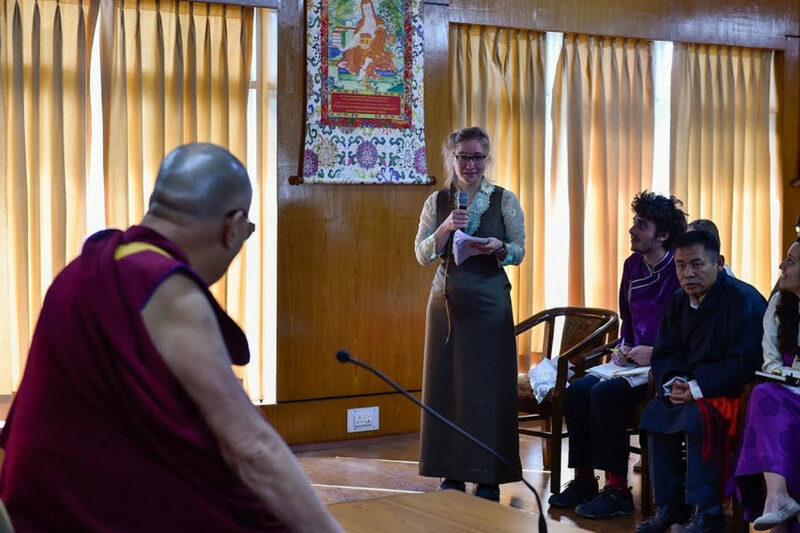 His Holiness the Dalai Lama speaks to college students from Earlham College in the United States and Cegeb Marie Victorian College in Canada at his residence in Dharamsala, HP, India on November 13, 2017. After his talk, His Holiness answers questions from the students.